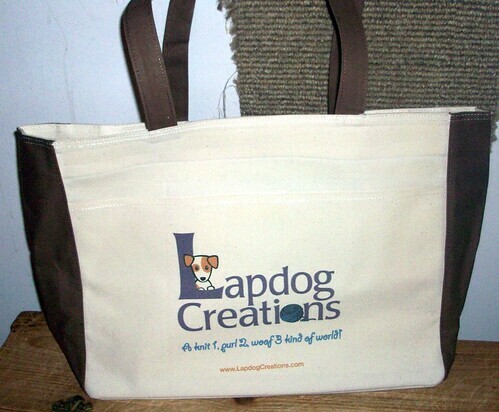 The Lapdog Creations Cafe Press store has been updated and if you find yourself interested in getting a shirt, hat, coffee/tea mug, button, sticker, tote bag, water bottle, dog dish or just about anything else, please stop by! I actually received my first new items yesterday and absolutely love the new beach bag they offer... of course, it will really be a knitting tote for me! That's a fabulous logo! Love it.